He was true to form in January when he was asked for his opinion on the United Kingdom’s muddled plans to leave the European Union. “I think we’ll be far better out of the bloody thing, me. In every aspect,” he said of Brexit. The insularity of the view was peculiar coming from a prominent personality in the Premier League’s international landscape. But while many wrote off his ignorance as predictable given the oft-negative media depiction of Warnock, those who know him describe the Yorkshireman as humble, family-oriented, and, above all else, a magnificent manager. Webber was on Watford’s books in 2005 and had played against Sheffield United enough times to garner an unfavorable opinion of Warnock. Webber’s friends also branded the Blades a “strikers’ graveyard” due to their surplus of attackers. It certainly didn’t seem like the right environment for the Manchester United academy graduate to realize his ambition of returning to the Premier League. When Warnock finally got in touch with Webber, who was then 23, he insisted he was “not as bad as everybody thinks.” The Mancunian reluctantly traveled to dine with Warnock at Bramall Lane and, as the conversation moved to the ground’s home dugout, he was in awe of the manager’s charisma and determination to guide the club into the top flight. Warnock’s teams are expected to be defense-focused, to not court risk. But Webber was given license to do what he did best – namely, careering down a channel on the left and hassling the right-sided center-back – and was key in the Blades’ successful bid for promotion in the 2005-06 term. Even training wasn’t as regimented as Webber expected. Players commonly complain that training under other conservative handlers, like Tony Pulis, can be repetitive and dull. However, working under Warnock was fun. Rotherham United were in disarray when Warnock arrived in February 2016. The Millers had lost eight of their last 12 league matches and were circling the Championship’s plughole. Many believed this was Warnock’s toughest assignment yet. “If it was raining he’d go and get his brolly (umbrella) and say ‘Greg, I don’t want you to get wet, son. Come over here, stand under the brolly. I’ll look after my special one.’ We all knew it was a joke, it was another way of him creating a laugh with the training ground,” said Lee Frecklington, who is now at Lincoln City. Andy Booth, dubbed one of Huddersfield Town’s greatest-ever players, regards Warnock as the best manager he worked under. They spent a little over 22 months together between 1993 and 1995, and would have reunited eight years later at Sheffield United if Booth hadn’t remained loyal to the Terriers during a turbulent financial period for the club. The training-field jokes were prevalent in the mid-1990s – ever the proud Blade, Warnock sometimes turned up to Huddersfield training in a Sheffield United tracksuit – but Booth also witnessed Warnock’s knack for recognizing how to address each individual and wring out their full potential. Booth remembers him quickly changing the “core of the team” at third-tier Huddersfield by getting rid of Peter Jackson, Iwan Roberts, Iffy Onuora, and Phil Starbuck. The coach needs players who can execute his stubborn game plan. When Warnock’s schematic is performed properly, however, he is jubilant. Danny Gabbidon recounted plying his trade in Warnock’s backline on Elis James’ “Feast of Football” podcast in March. After Gabbidon promised to not play out of defense in the same way he had done for much of his career, Warnock sanctioned the center-back’s transfer to Queens Park Rangers in 2011. Two months after the move, Gabbidon thought he was already adhering to Warnock’s approach, but he was urged to simplify his game even more in a trip to Wolverhampton Wanderers. “A couple of balls had gone into the channel and I’ve cleared them out as (Warnock) wanted. So we’ve gone in at halftime 2-0 up and he’s come over to me and he was like, ‘All right Gabs, brilliant first half, you played really well. But next time when you clear the ball out make sure you put it over the stand,'” Gabbidon said. And once the game plan is understood, Warnock won’t tolerate anything below 100 percent commitment. Sheffield United’s preseason tour to China in 2005 was a disaster, with a trying travel schedule. Many players in the squad fell ill. Attacker Andy Gray couldn’t handle the conditions and left early. Warnock used this to his advantage by discovering which players vaulted the trip’s hurdles and kept working toward the season’s goals. When Warnock cut a training session short because some of the players weren’t taking it seriously, he delivered a message that refocused Webber and his teammates ahead of the 2005-06 promotion campaign. Upon the team’s return to Sheffield, Warnock sold Gray to Sunderland. For Warnock, mental toughness and a basic strategy aren’t quite enough; he also believes that fantastical elements influence games. Many who have played for Warnock view him as the most superstitious manager they’ve encountered. Warnock didn’t fare well in 1993-94, the first season of his Huddersfield tenure, so when he called a meeting in the sanctity of the boardroom, his players expected the worst. Booth thought the man who gave him his first prolonged chance in senior football was getting the boot. He was very wrong. “We’ve walked in there and there’s 15 glasses half full of sherry and we’re thinking, ‘What the heck’s happening here?’ We’ve got in and he says, ‘Right, we did this at Notts County and once I did it we went on a winning run of 10 games,'” Booth told theScore. Sometimes he can’t bring himself to watch games, feeling the outcome is seldom in his favor when he does. When the result of a 2006 meeting between Leeds United and Reading had the potential to rubber-stamp Sheffield United’s ascent to the top flight, Warnock had a novel way of avoiding the action. 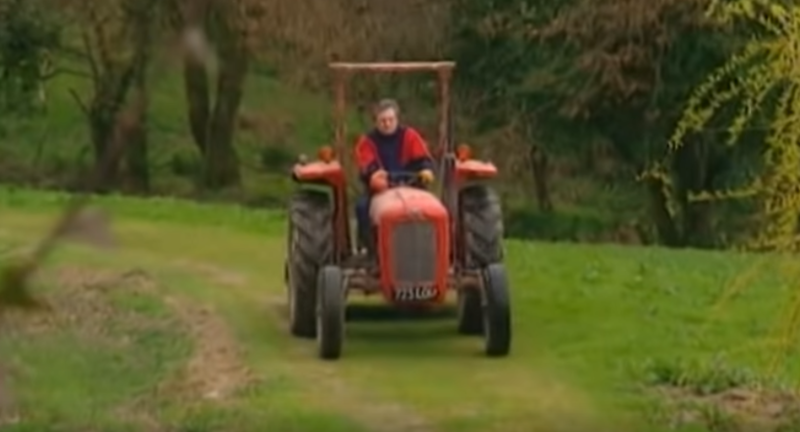 “I remember having some jobs to do so I thought, right, I’ll get on my tractor – I can’t hear anything on the tractor – and get some work done. Which I did for about five or six hours,” he revealed in “Sheffield United: The Resurrection,” a review of the club’s 2005-06 campaign. Warnock and his wife Sharon embraced and danced around the kitchen, still in their wellington boots, when Reading’s 1-1 draw at Elland Road confirmed Sheffield United’s promotion. Warnock’s first wife, Sue, and Sharon have always been involved with his working life. And, if the manager has his way, his players’ loved ones are also active members at his clubs. Warnock learns a lot about his players’ personalities through their families. The gaffer used such information when he traveled to the Lake District in 2005 to meet Craig Short, who had played for him at Scarborough in the late 1980s and then at Notts County. Short was considering stepping away from football to focus on his small sailing business, but the Sheffield United boss wanted to encourage him to continue playing. A verbal agreement was all that was required to secure the seasoned center-back’s services ahead of a gaggle of interested clubs, and Warnock knew it. Short’s younger brother Chris was also a defender for Warnock at four clubs before joining his backroom staff. The elder Short sibling notes Warnock’s admiration for “real solid, hard-working individuals,” and how he speaks highly of players like Steve Richards from Scarborough and Chris Morgan from Sheffield United even today. Craig Short is in that group with Richards and Morgan. Warnock would ask him to “carry bricks” at Sheffield United – and he did, reliably marshaling the defense over 23 appearances in the 2005-06 term. And, in the Short brothers’ father, Warnock found somebody who shared his fondness for nature. During his difficult spell in charge of Leeds, Warnock made an impromptu visit to the Short family home. “My dad was cutting the grass – me and my brother obviously weren’t there – a sports car pulled up outside and it was Neil. Neil hadn’t seen my dad in years, probably since I was playing in Sheffield, and he called in to see my mum and dad for a cup of tea,” Craig Short remembered. There is a soft side to Warnock. Craig Short claims he can be quite a shy person. He doesn’t let pride or bravado stop him from admitting his mistakes. Webber remembered receiving an emotional apology from Warnock after he was sacked by Sheffield United following the heart-wrenching relegation from the Premier League in 2007. “I think if I would’ve played you a bit more we would’ve stayed up,” Warnock apparently confessed to his former striker. Despite that softer side, Warnock never seems far away from controversy. He effectively orchestrated 2002’s Battle of Bramall Lane, a melee of headbutts and high tackles that was abandoned after 82 minutes. Three players were sent off for Sheffield United and, in what some suspected was a devious ploy by Warnock, two more left the action in quick succession with supposed injuries. The match had to be disbanded because the Blades didn’t meet the requirement of seven players. “There will be no replay. If we are called back to Bramall Lane we shall kick off and then walk off the pitch,” said Gary Megson, who was overseeing West Bromwich Albion that day. West Brom were retrospectively granted a 3-0 win – the result when the players were ordered off the field – but that flashpoint and others tarnished Warnock’s career. His name is tethered to a reputation of underhanded tactics and antagonism. Unlike in that interview, Webber doesn’t think his former boss deliberately stoked controversy with his recent views on Brexit. The retired forward doesn’t agree with Warnock’s beliefs, but can sympathize with the 70-year-old Cardiff City chief. “When you look at it, why are people even asking him about Brexit? What does it matter Neil Warnock’s opinion on Brexit, do you know what I mean?” Webber offered. Rather than politics, Warnock is better placed to talk about football in Cardiff’s press conferences. He thinks keeping the Bluebirds in the Premier League would be his greatest achievement in a lengthy managerial career, and he will try to do it in the only way he knows. He won’t change, and he’ll make no apology for that.